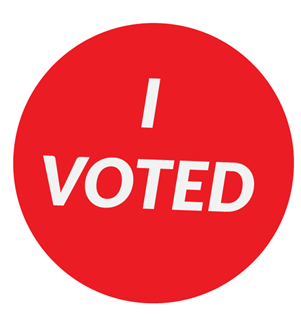 The Ramsey County Law Library encourages everyone to exercise their right to vote on Tuesday November 6th. We have collected some interesting information about voting and this election to help ensure that you can participate in this year’s election. If you are worried about lines and crowds, early voting may be the solution for you. You can vote early in person, or by mail, though if you haven’t gotten your mail in ballot by now, it might not be the best way to ensure your vote is counted in time. If you have mailed in an absentee or ballot, you can track your ballot via the Secretary of State’s website. Don’t know where your polling place is? The Secretary of State website has a link for that, too. It is the law that in Minnesota that your employer must pay you for the time you need to vote, if it falls within your scheduled work time. Your employer cannot require you to use personal leave or vacation time (see Minnesota Statutes 204C.04 and 204C.08 subd. 1d). Know your candidates and issues! If you want to know who is on your ballot, the Minnesota Secretary of State website is a quick way to find out who you will vote for based on your mailing address. 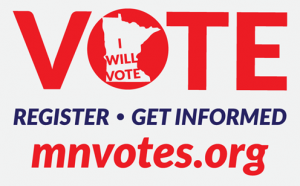 Minnesota Public Radio has provided voting guides for the election in multiple languages (English, Somali, Hmong, and Spanish). And if you need a ride to your polling place, please remember that Uber and Lyft are offering free rides to the polls on election day. Minnesota consistently has a high voter turnout. Let’s continue this tradition. Please remember to vote on November 6.